Whether you are a visitor, new to our neighborhood, or a longtime resident of Haw Creek, you already know how special our community is. Located in East Asheville in the 28805 zip code, Haw Creek valley is a gem, which still maintains it’s rural feel. The residents of Haw Creek welcome you. 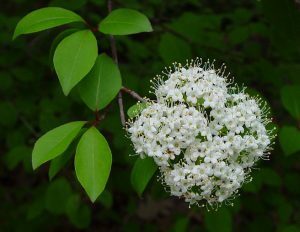 Haw Creek was named for the native Black Haw shrub or small tree (Viburnum prunifolium) that grew more abundantly years ago along the moist soils of the valley, especially along Haw Creek itself. You can still find the black haw growing and flowering today in isolated locations along Haw Creek and its tributaries. Haw Creek valley’s southern boundary extends from US Highway 70/Tunnel Road at I-240 eastward along Tunnel Road to Maple Springs Road. Its west boundary is formed by Piney Mountain/Bear Mountain ridge; Town Mountain creates the northern boundary; and the Blue Ridge Parkway stretches along most of its eastern border. Haw Creek was settled in the late 1700s to early 1800s, and it was a farming community in the early years. Haw Creek has two main entrances with very narrow roads throughout the valley. It is one of the few communities that does not have through traffic to other areas of town, resulting in a quieter neighborhood than most. With vehicle access into and out of the valley available only on the south end, the community’s traffic is primarily residents. With over 7,000 households, including affordable apartments, single family, townhomes and condos, Haw Creek has always been a very diverse neighborhood. While it is rural in character, it is within 15 minutes of the Asheville Mall, Blue Ridge Parkway, downtown Asheville and main highways, which makes Haw Creek a very desirable place to live. The community has two schools – Haw Creek Elementary School and Evergreen Charter School, many churches, and the East Asheville Rec Club with tennis courts, swim team, and swimming pool. If you would like to contribute to the HISTORY of Haw Creek, we would love to hear from you. We are in search of old photos and any information about the Haw Creek Valley.